Georgy Egorychev, the author of the influential, milestone book titled "Integral Representation and the Computation of Combinatorial Sums". In 1980, Egorychev solved the van der Waerden conjecture on the determination of the minimum of the permanent of a doubly stochastic matrix and was awarded the Delbert Ray Fulkerson Prize. 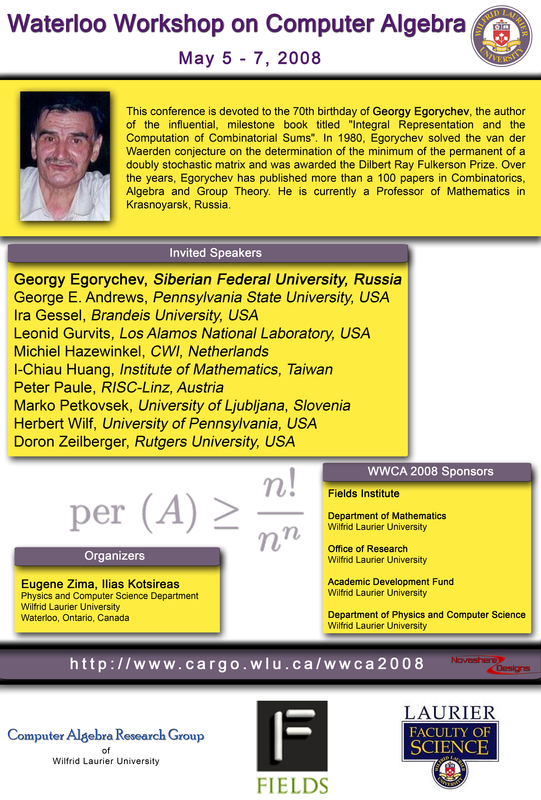 Over the years, Egorychev has published more than a 100 papers in Combinatorics, Algebra and Group Theory. He is currently a Professor of Mathematics in Krasnoyarsk, Russia. Participants will need to register on site, on May 5th.